Kano Pillars FC lost their top central defender Abdulwasiu Showemimo to Dolphins FC but has replaced him with Papa Idris (born 27.07.1989), the former captain of Kaduna United FC, and veteran Umar Zango, the former captain of Lobi Stars FC. Zango played for Pillars during the Nigeria Premier League 2007-2008. 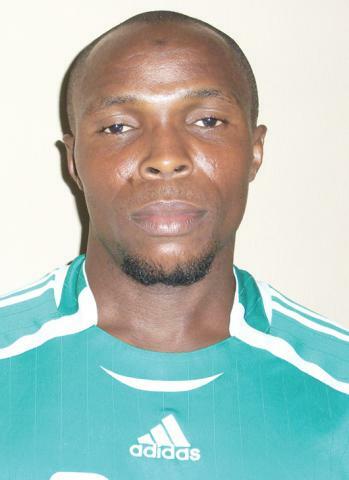 Attacking midfielder Abdullahi Shehu, signed from Plateau United FC, is another interesting newcomer. Kano Pillars FC has managed to retain most of the players from last season. I expect goalkeeper Joel Afelokhai Theophilus (born 07.04.1988), playmaker Rabiu Ali, defensive midfielder Mohammed Shehu Shagari (born 29.11.1990) and the attacking duo of Mohammed Gambo (born 10.03.1988) and Mannir Ubale (born 02.07.1991) to play leading roles this season, just like they did last season. Kwara United FC has made an impressive start to the season. Their defence looks strong, having only conceded one goal in five matches. Kazeem Yekeen (born 01.12.1992), presented in my post from 15.05.2011 (https://westafricanfootball.com/2011/05/15/kazeem-yekeen/), is still first choice goalkeeper but faces tough competition from Michael Uweru, the new signing from Crown FC, and Suraj Ayeleso (born 12.03.1991), the new signing from Bukola Babes FC. Talented central defender Gbenga Arokoyo (born 01.11.1992) has recently been linked to Swedish outfit Mjällby AIF. Arokoyo, who was presented in my post from 27.02.2011 https://westafricanfootball.com/2011/02/27/gbenga-arokoyo/), has been forming a strong central defence with Seun Sogbeso, a new signing from Bukola Babes FC, or veteran Lukman Ijaiya (born 21.07.1986). The talented Obadaki Halilu (born 20.12.1993) has played well at left-back and as far as I know, Adekunle Muritala is the regular right-back. The midfield is still run by veterans Segun Atere (born 02.11.1985) and Yusuf Jaiyeola (born 11.11.1984) but Isiaka Olawale, who joined Dolphins FC, will be sorely missed. Philip Asuquo and Vincent Ogar have been brought in as replacements from Crown FC and Bukola Babes FC, respectively. The picture is of Yusuf Jaiyeola and is taken from National Mirror. The most exciting prospect at the club is arguably star striker Imenger Barnabas. The teenager scored twice against Kaduna United FC on 01.02.2012. Besides Barnabas, I think the attack looks rather weak but Tony Edjomariegwe (born 01.09.1989), a new signing from Crown FC, as well as the rather unknown newcomers of Tayo Fabiyi and Bolaji Simon Sakin, will try to prove me wrong. Especially Fabiyi has gotten some rave reviews and has already been compared to Nwankwo Kanu. Lobi Stars FC has strengthened their midfield with the signing of Anthony Abawula (born 23.08.1990), Jonah Abutu (born 27.07.1988) and Lazarus Chukwu. Strongman Abutu was a key player for Dolphins FC in 2009-2010 and Bayelsa United FC in 2008-2009 and will be hoping to get his career back on track. John Lawrence (born 07.04.1987) has been brought in from Enyimba FC to solve the goalkeeping problems at the club. Tony Okpotu, the lively striker, is arguably the player to watch. Azuka Ebinum is the big talking point at Niger Tornadoes FC. The rather unknown striker has scored five league goals in six matches. Ebinum joined Tornadoes in 2010-2011 after spending the first part of the season at Zamfara United FC. He scored three goals for Tornadoes after joining the club. His partnership with star striker Sibi Gwar (born 06.09.1987), presented in my post from 19.05.2011 (https://westafricanfootball.com/2011/05/19/sibi-gwar/), could become a sensation.